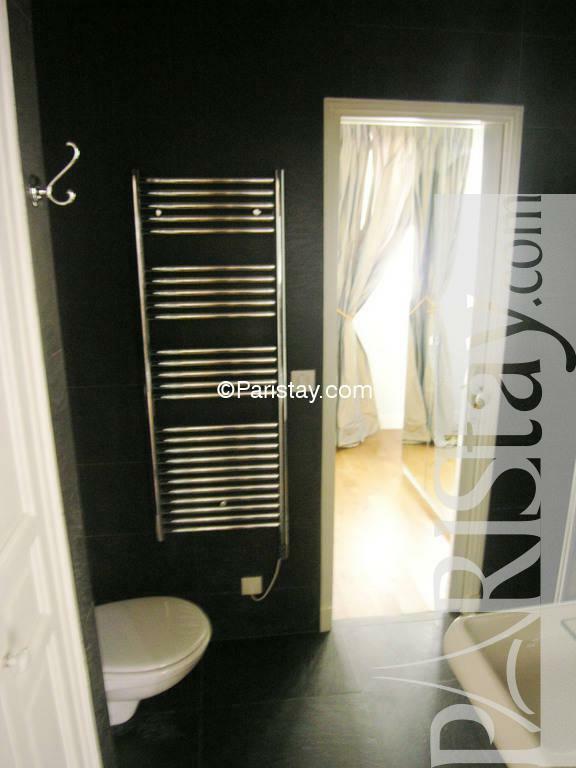 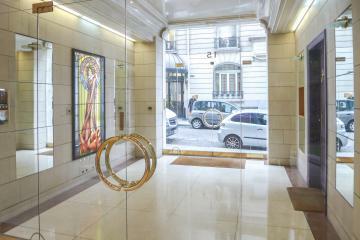 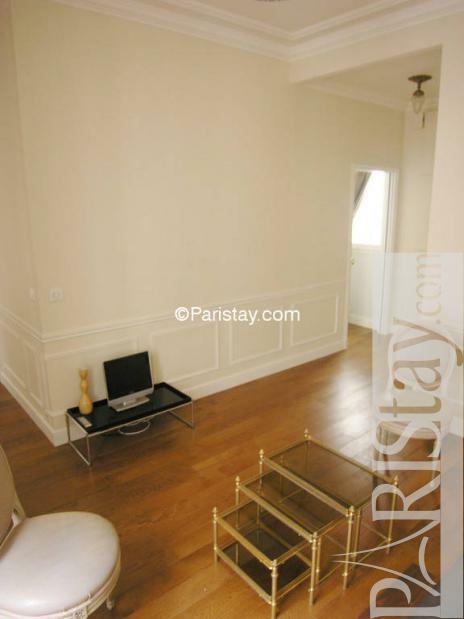 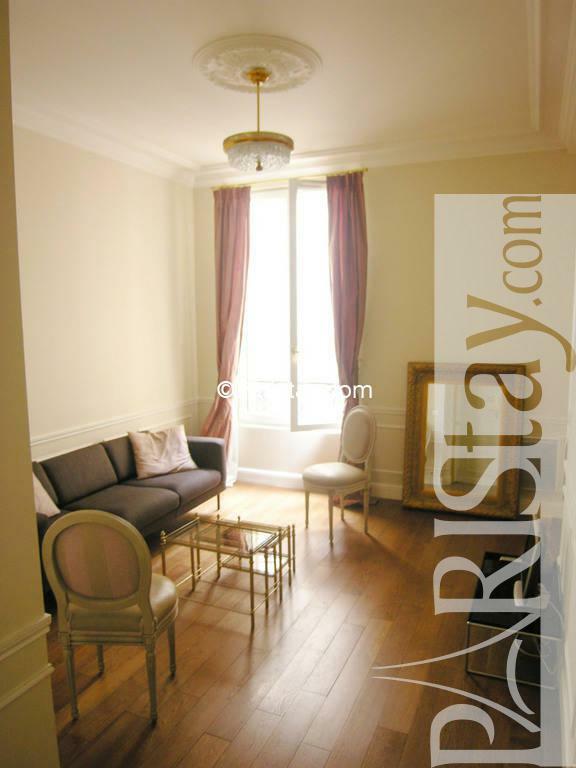 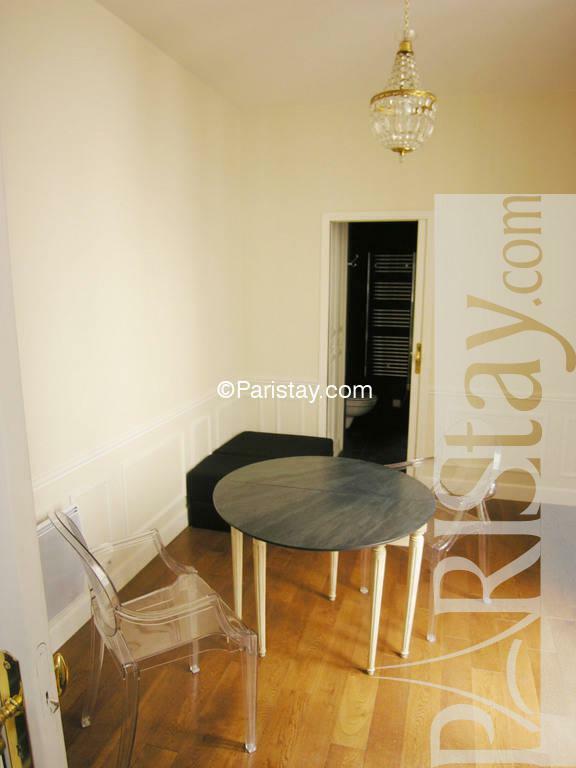 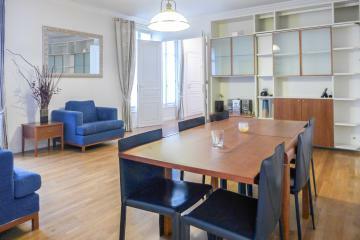 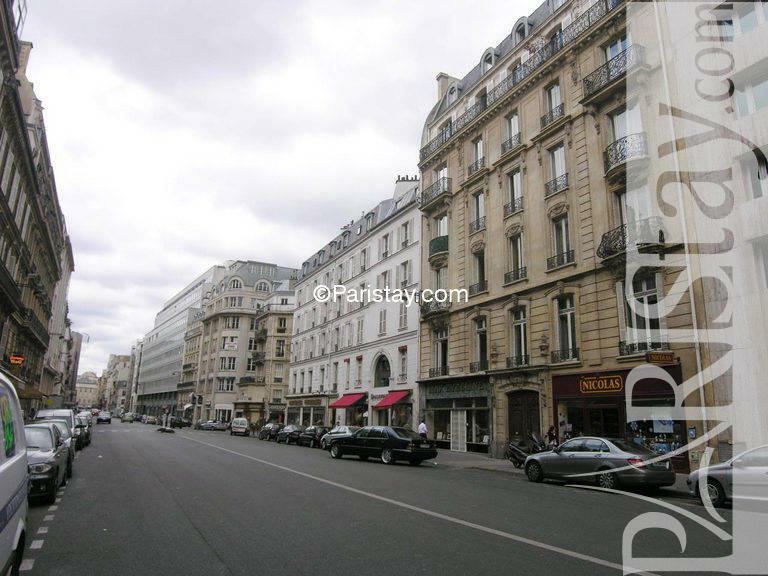 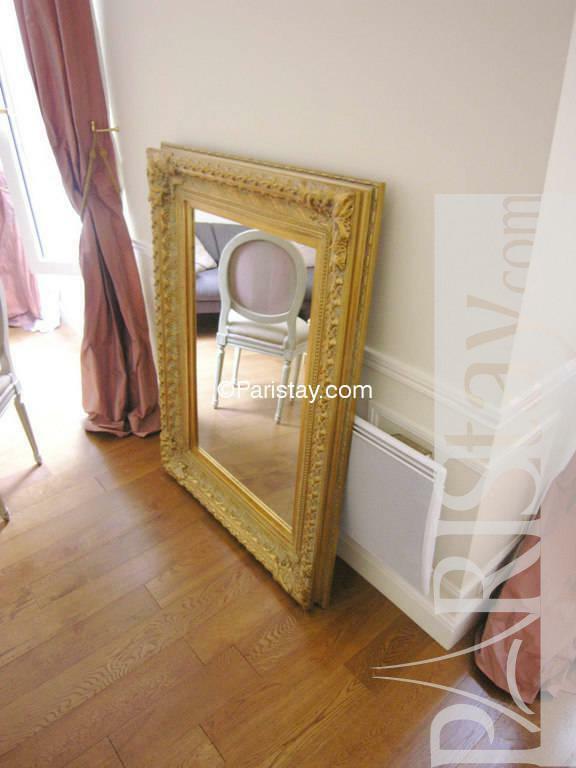 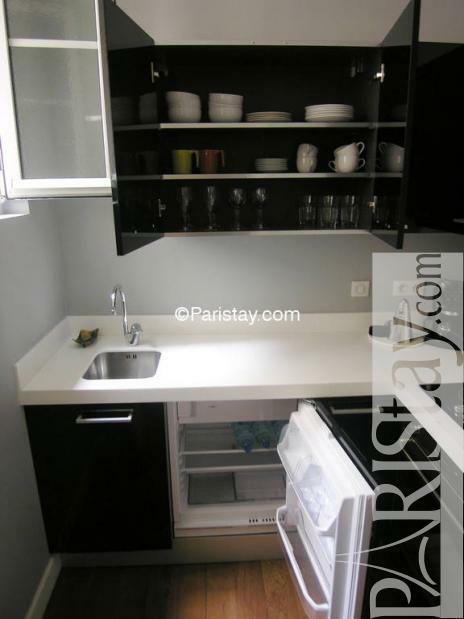 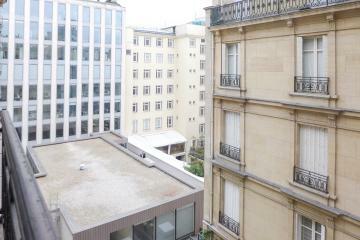 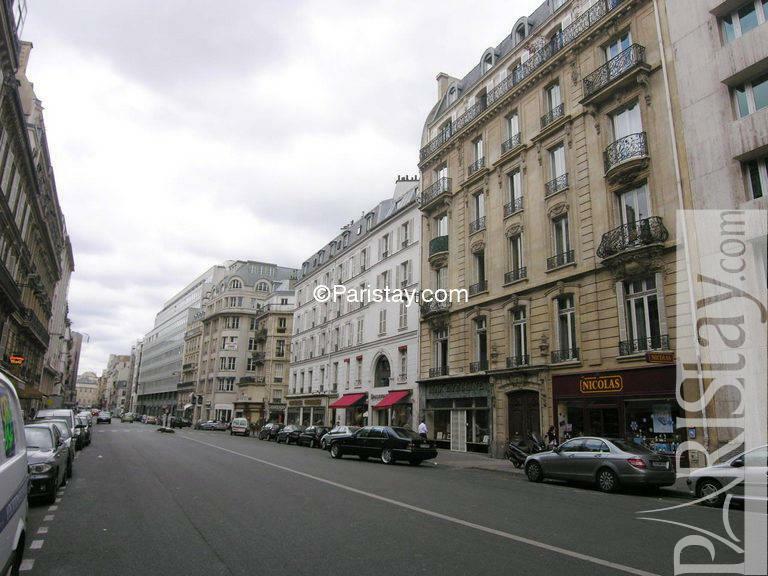 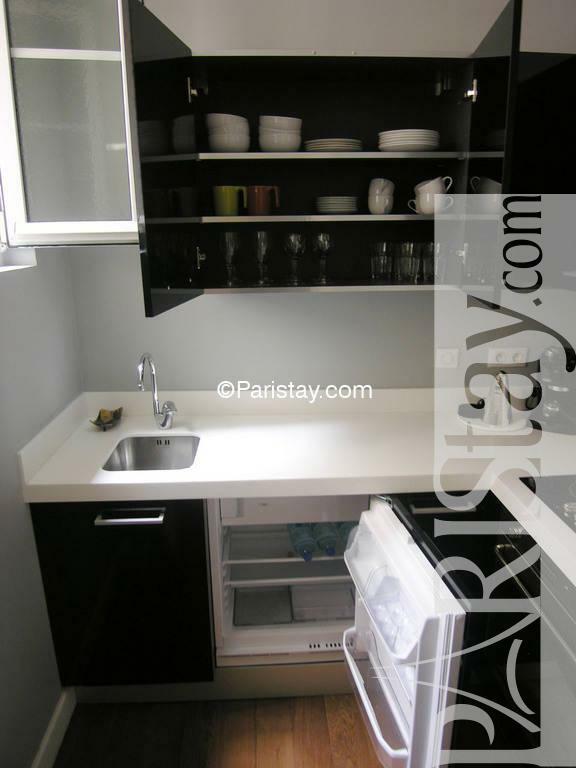 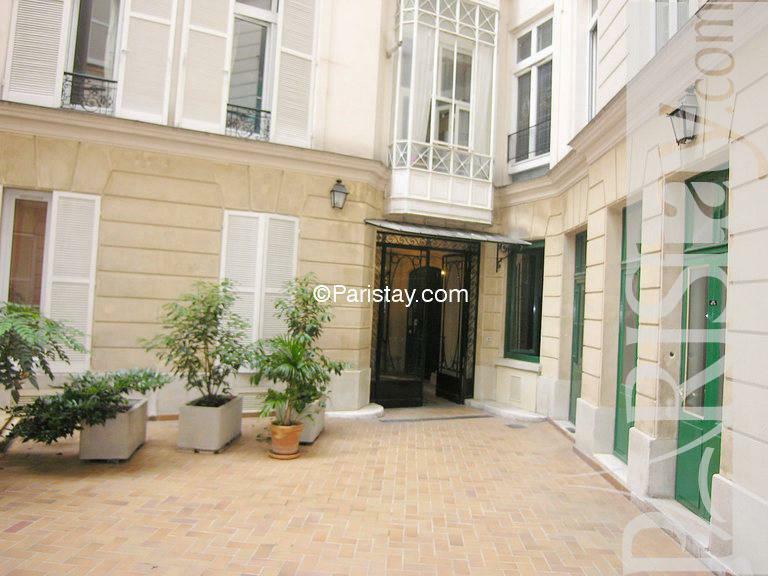 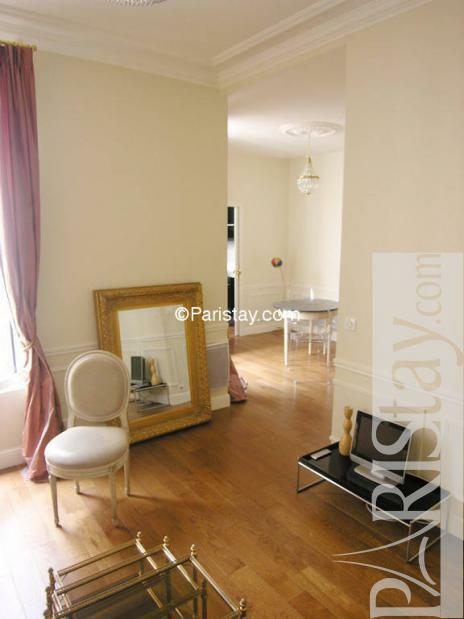 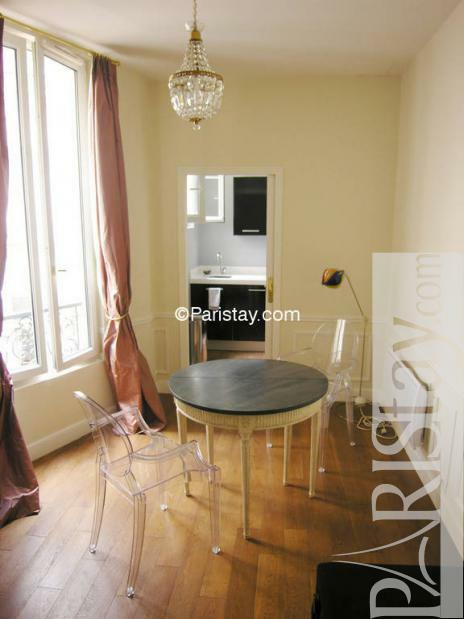 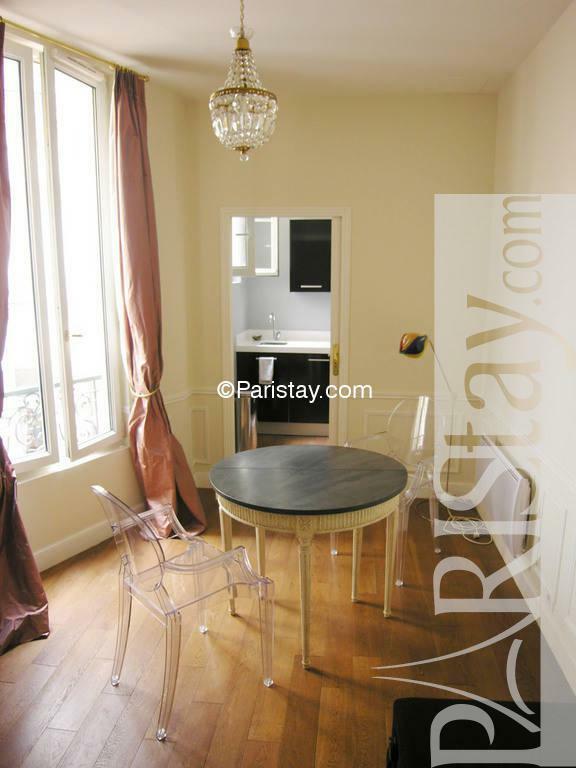 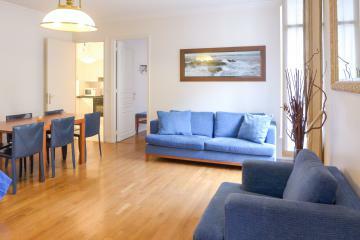 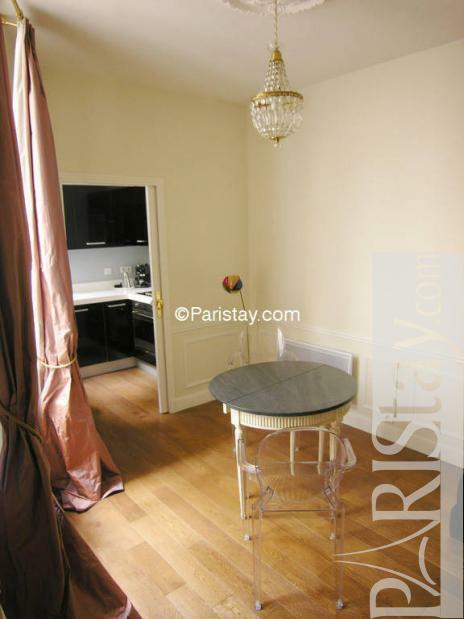 Elegant Paris one bedroom apartment only a short walk from the prestigious Champs Elysees Avenue. Beautifully furnished and decorated with wooden floors, mouldings and sofa in the living room, fully equipped kitchen and bathroom with shower. 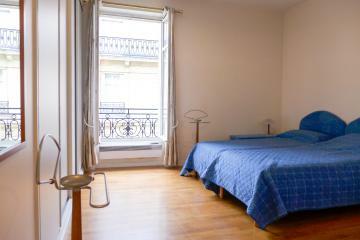 The bedroom is very quiet as it overlooks an inner courtyard. 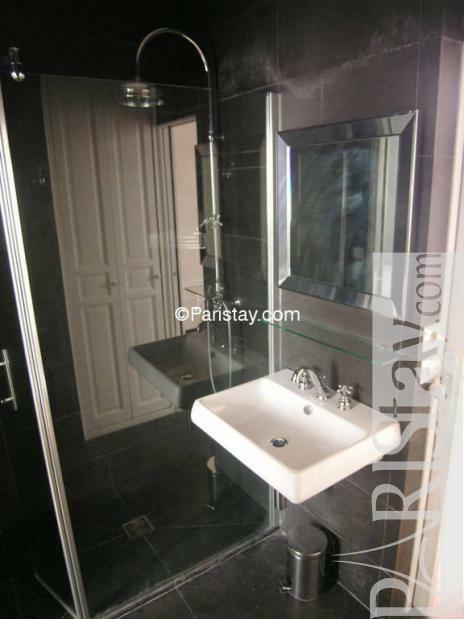 This second floor apartment is available for Paris luxury rentals. 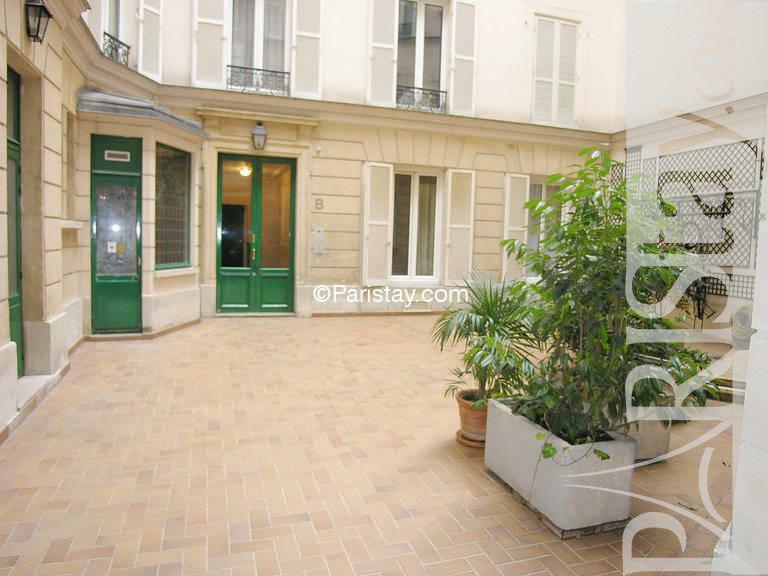 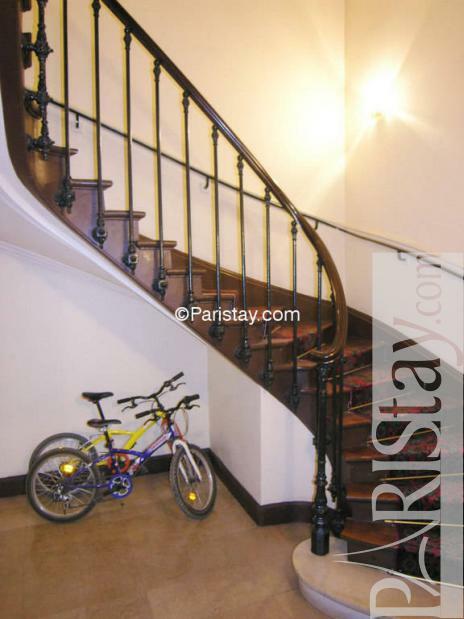 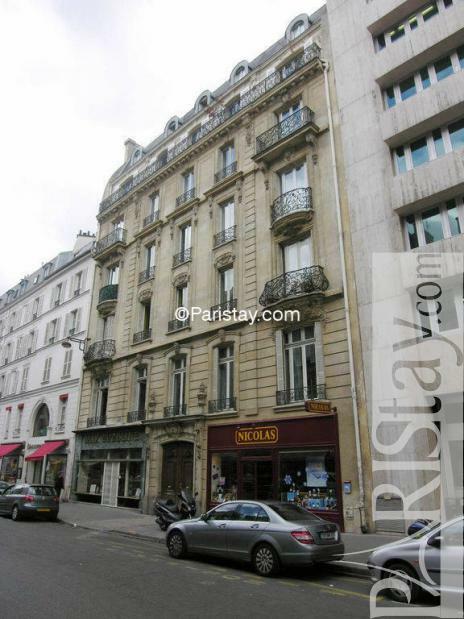 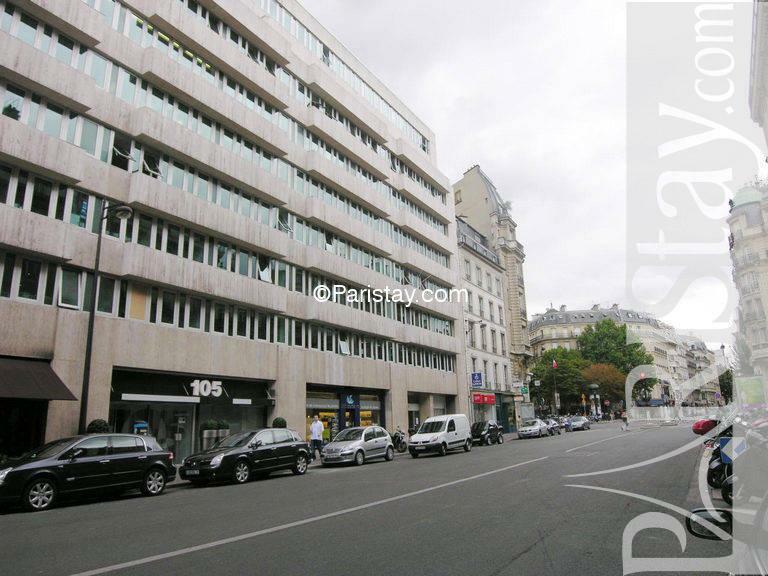 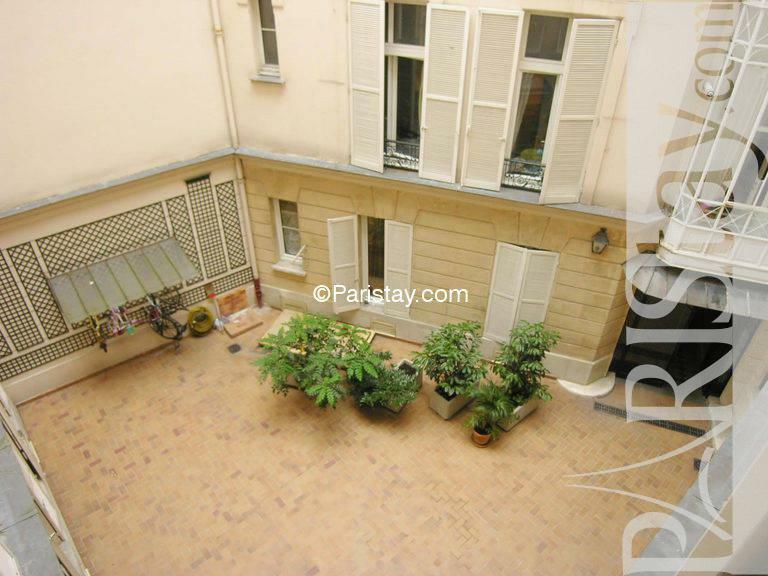 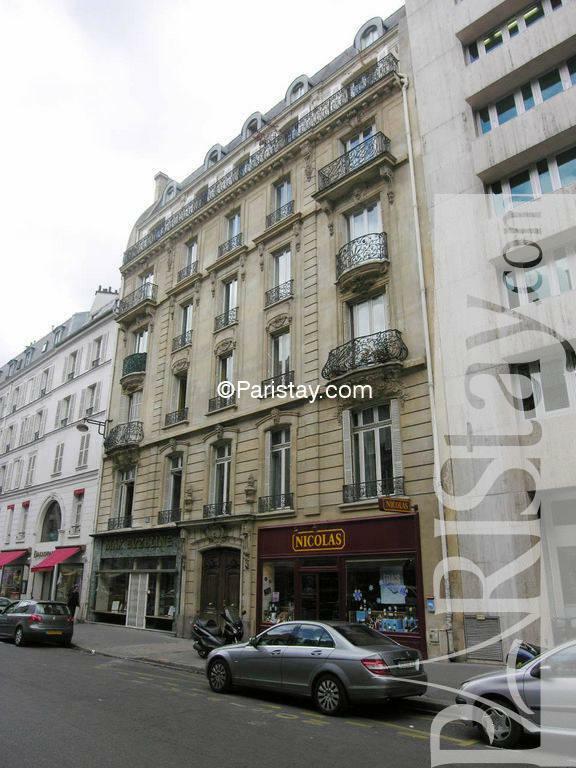 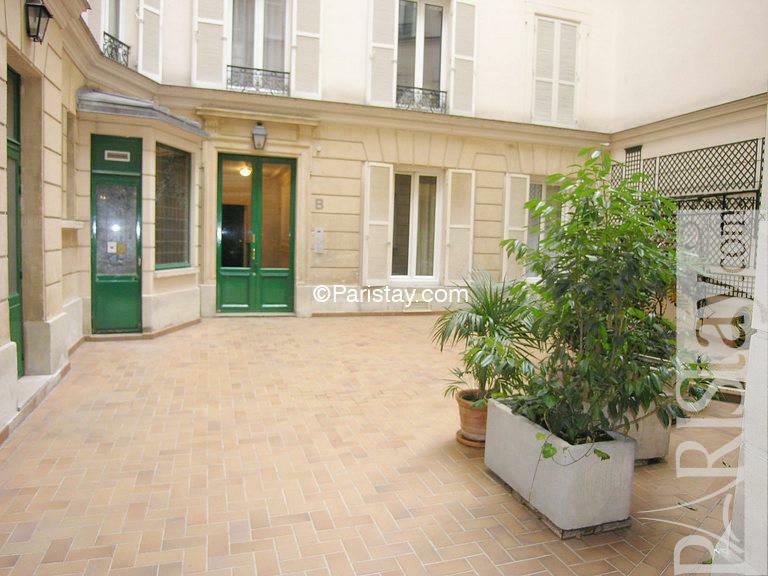 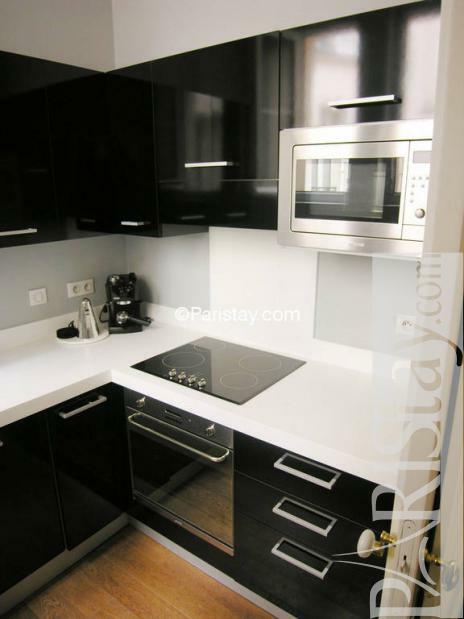 1900's Building, 2 nd floor, without Lift, entry code security system, with intercom, 1 bedroom Appartement, furnished, Approx: 45m² / 484 Sq.Ft.